In an age where renewable energy is gaining ascendancy, governments are finally waking up to the opportunities present in solar power. Here's the brightest idea so far that no one's talking about. The Western World’s keen interest in renewable energy has been one of the highlights of the twenty-first century. Notably, the EU and Scandinavian countries have been at the forefront of innovation toward making fossil fuels obsolete. Developing nations, on the other hand, haven't been as active in the conversation on the inevitable switch to alternative forms of energy acquisition. However, it seems like this is changing. 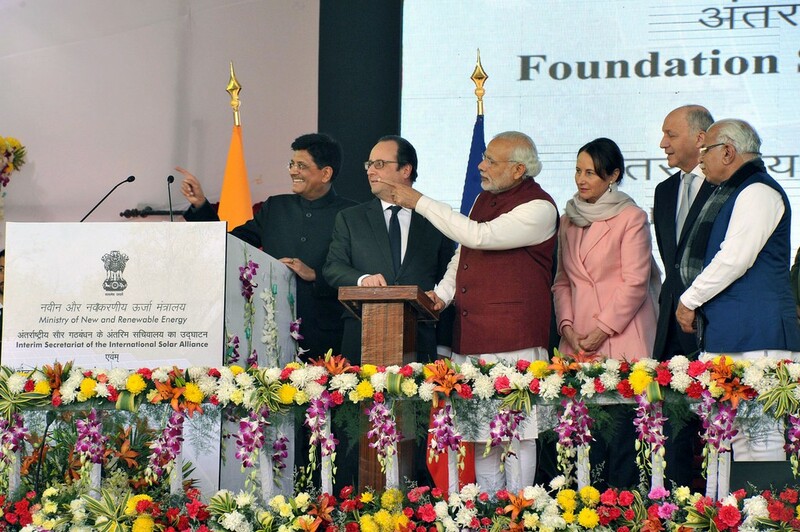 India, along with France, is spearheading a mammoth project, The International Solar Alliance (ISA), for the deployment of solar energy sources worldwide. Originally started as an initiative to make solar power mobilization affordable and efficient in “sunshine countries” (tropical countries that are exposed to high amounts of sunlight), the project has expanded to include countries beyond this criterion, as well as intergovernmental organisations, multilateral banks, and Fortune 500 companies. The goal? To mobilize over $1000 billion in investments for setting up solar power infrastructure, research and development, and promoting other solar power projects currently in motion. The ISA was convened on the first day of the UN Paris Climate Change Accords and already has 65 signatory nations, 35 of which have ratified its framework agreement. It is easy to feel sceptical about governmental efforts to promote renewable energy, especially given the reach of the shadowy business-industrial complex and Big Oil, which have thwarted many an attempt to make the transition sooner. However, the convergence of several developing nations to make solar energy a prime source of power is a step in the right direction. It remains to be seen whether this enterprise will survive the myriad of obstacles, veto politics, and quid-pro-quos that are endemic to governments working together. In the meantime, we'll keep our fingers crossed and eyes open for the future of our planet.